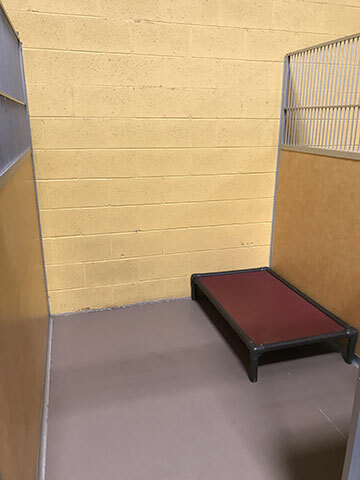 We offer 3 different size suites to meet the needs of different size dogs.Your pet will be in a size appropriate suite, with enough space to accommodate them. Our suites are custom built with the emphasis on comfort as well as the safety of our guests. All our suites are spacious and offer raised cots. You are welcome to bring any toys from home that your pet may need. 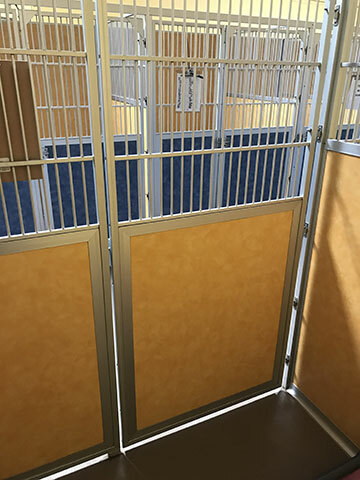 All suites have privacy panels to prevent stress between suites and other dogs. 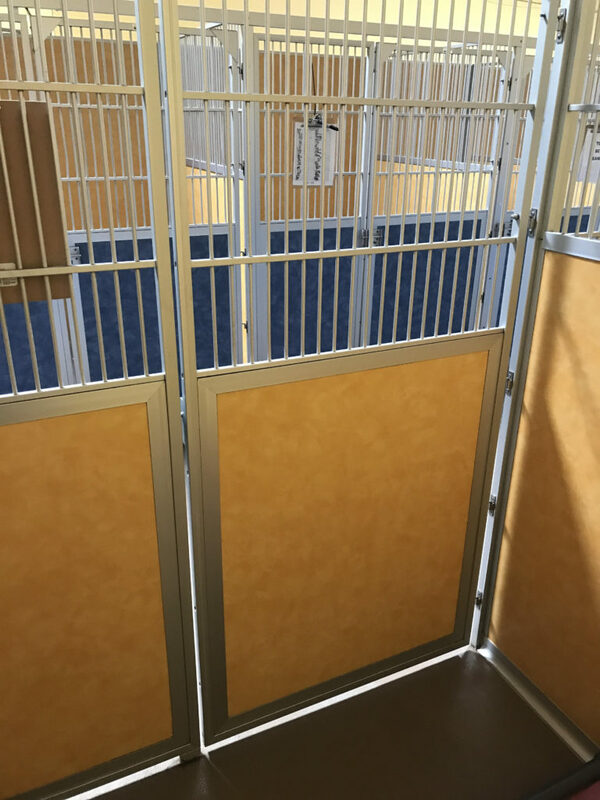 Tops of the suites are open so the dogs can look out. All suites are sealed on the sides so there is no cross-contamination. Overnight guests will enjoy approximately 4-6 hours of playtime, complimentary, in our indoor and outdoor play areas. 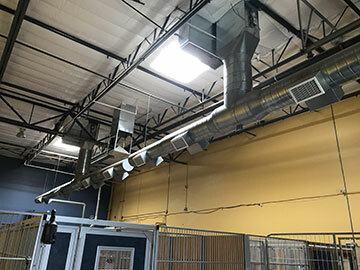 Our facility has dual air conditioning units to ensure your dog stays cool and safe. The air conditioning units have security warning controls in the case of high temperatures. The owners of Danmar Pet Resort and alarm monitoring company will get the warnings immediately. The air conditioners also serve as a filtering system for airborne viruses, in addition to keeping your pets cool from the Arizona heat. Reserve a relaxing bath for your pet. They will come home fresh and clean. 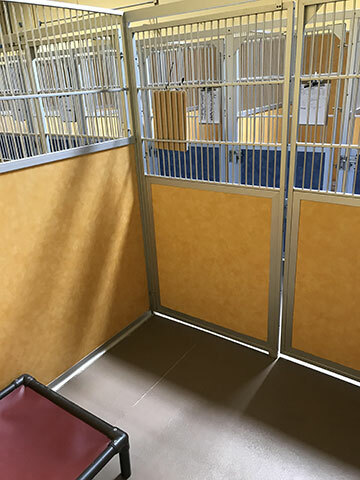 We do not offer webcam service but we can offer you a One Minute Video of your pet in our play area . Just Request on Arrival. 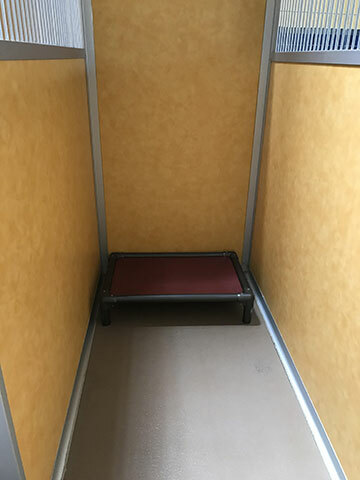 This will give you great comfort that your dog is enjoying its stay and you should enjoy your trip as well. To be able to join play group all guests must be spayed or neutered if over 6 months of age.